PS: DRINK A LITER OF WATER! Can you identify at least one suspected mammary carcinogen (chemical that causes breast cancer) that you may be exposed to in performing these actions? Which chemicals are present in the products you use every day or which pollutants are rampant in your environment that may increase your risk of getting the disease? Personal care products like shampoo may contain residual levels of 1,4-dioxane. Perfluorooctanoic acid (PFOA) is coated on cookware to make it stick-resistant. Benzene and polycyclic aromatic hydrocarbons (PAHs) are present in automobile exhaust and are significant air pollutants. Carbon tetrachloride is a chlorinated solvent found in a wide variety of cleaning formulations. Amsonic acid is a whitening agent in laundry detergents. Heterocyclic aromatic amines and acrylamide are formed while cooking meat and starch-rich food at high temperatures. MX is a by-product of drinking water disinfection. Most of these chemicals are classified by regulatory authorities as possible mammary carcinogens, and animal studies and epidemiologic data link these chemicals to breast cancer. The environmental causes of breast cancer have not received enough research attention, especially for a disease that is the leading killer of women living in the United States who are in their late 30s to early 50s.2 Currently, evaluating a woman’s breast cancer risk focuses on family history and genetics, which are responsible for only a small percentage of breast cancer cases. Many women with the disease are at a loss to understand, “why me?” Mounting evidence suggests that something in our environment is contributing to the breast cancer epidemic. The fact that industrialized countries have a five-fold higher incidence of the disease, with incidence continuing to rise rapidly among immigrant populations, lends credence to environmental links to breast cancer. And, in studies of populations carrying the same genetic material, such as identical twins, incidence varies considerably, suggesting that there is far more to breast cancer risk than genetics. The factors examined in the SSI study include commonly used chemicals, pollutants, and lifestyle factors, such as diet and physical activity. How can these factors affect your risk of developing breast cancer? Chemicals and pollutants that are mammary carcinogens can cause gene mutations or damage DNA, promote tumor growth, and/or modify hormonal activity. For example, synthetic estrogens and chemicals that mimic the actions of estrogen may interact with estrogen receptors and affect mammary gland development. Dietary factors, such as alcohol consumption, can increase breast cancer risk. Additionally, diet and physical activity affect weight maintenance, and adult weight gain is associated with breast cancer. Excess fat is a source of estrogen in postmenopausal women and also serves as long-term storage for fat-soluble poisons that enter your body. Science bolsters the case for exercise so strongly that you really need a good reason not to do it. In order to understand the implications of this study better, it is important to understand how the carcinogenic potential of chemicals is assessed. The key methods used are in vitro (tests performed in a controlled environment and not in a living organism) or other short-term tests, animal experiments, and epidemiological studies. In vitro tests study the carcinogenicity of a chemical in an appropriate cell culture in the laboratory. For example, because breast tumors may be caused by hormonal changes, testing the action of a chemical in cells that are sensitive to hormones is important for establishing links to breast cancer. Animal experiments yield more information about a chemical’s carcinogenicity than the other methods but require a significant commitment of time and money; experiments on rodents take two years and cost from $2 million to $3 million for each chemical tested. The United States National Toxicology Program’s animal testing procedure involves dosing male and female animals with the chemical in question for two years and counting the tumors in all the organs. The test is made as relevant to humans as possible by choosing a sensitive animal (usually rats or mice), an appropriate exposure pathway (through the skin, food, inhalation, injection, etc. ), and a suitable number of doses. Epidemiology is the study of correlations between a disease and its possible causes in populations. A well-designed epidemiological study showing a positive association between an exposure and a disease is one of the most convincing types of evidence of a chemical’s carcinogenicity in humans, especially if an animal test also implicates the chemical. More significantly, epidemiology has helped establish cancer as an environmental disease. 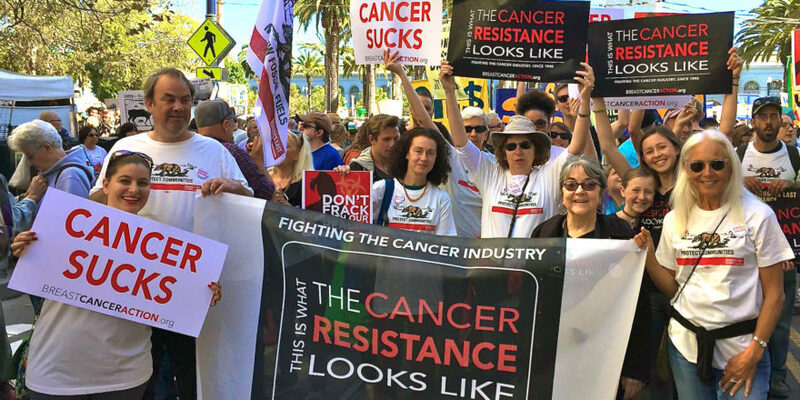 Most of the chemicals in the SSI Mammary Carcinogens Review database are mutagenic (cause genes to mutate), and all caused breast tumors in animals. Our risk from these potential carcinogens is further characterized in the database by providing information on chemical use, exposure opportunities, and current regulations. The SSI Epidemiology Reviews database critically reviews 450 studies on associations between breast cancer and environmental pollutants, diet, physical activity, and body size. Of these four factors, diet received the most coverage by epidemiologists and environmental pollutants the least, limited to studies on polychlorinated biphenyls (PCBs), polycyclic aromatic hydrocarbons (PAHs), organochlorine pesticides, organic solvents, and dioxins. Both of the SSI databases review key experimental details and provide information on the strengths and limitations of the research. The environmental pollutants that emerge as the biggest culprits from the review databases are PCBs, PAHs, and organic solvents. The SSI study may be described as translational research, a term traditionally used to describe the efficient movement of research from the laboratory to better practices and products in the clinic or industry. SSI’s extensive research on the environment and breast cancer has been fashioned into a tool that can be used by other scientists, clinicians, policy makers, and the general public for better decision making. For scientists, this is a valuable summarization of what we currently know and what we still need to find out. We need to establish more conclusive links between the environment and breast cancer, safer alternatives to hazardous chemicals, and ways to reduce harmful emissions. For clinicians, the SSI study is a starting point to understand and advise breast cancer patients along the lines of environmental medicine, including evaluating potentially exposed people and advising high-risk populations to avoid certain chemical exposures. For policy makers in the United States, this information is a tool as well as a reproach, because much of this research has not been reflected in policy outcomes. Out of 80,000 chemicals registered for use in the United States, only about 1,000 chemicals have been tested for mammary carcinogenicity. About 3,000 chemicals are produced in quantities greater than one million pounds every year, and the mammary carcinogenicity of only 33 percent of these has been evaluated.3 Penny-wise and pound foolish, policy makers have split hairs over the necessity of more comprehensive evaluations of health effects and more regulation of these chemicals as breast cancer continues to extract a heavy financial and human toll. For example, the cosmetics industry in the United States continues to sell women products containing potential mammary carcinogens, because the industry is poorly regulated and the chemicals are inadequately assessed. However, policy makers in Europe and California are showing the way in chemical policy reform, enacting legislation aimed at regulating the chemicals in cosmetics. Europe’s Registration Evaluation and Authorization of Chemicals (REACH) came into effect in June 2007. It gives the chemical industry until 2018 to register with the European Chemicals Agency the approximately 30,000 chemicals that have been added to personal care consumer items. It puts the burden on industry to provide information on potential hazards and to identify measures to ensure safe use. REACH also encourages companies to switch to safer alternatives when available and allows for more rapid bans of chemicals that have unacceptable risks. California’s Safe Cosmetics Act of 2005, which BCA co-sponsored, requires cosmetics companies to report to the state any ingredients that are known or suspected to cause cancer or birth defects. This type of legislation needs to be enacted across the United States in order to protect public health. Additionally, many chemicals that have been analyzed for their health effects need to be looked at again for endocrine (hormonal) effects, which occur at lower levels of exposure and can cause reproductive cancers in women and men. Estrogen challenges the traditional “dose makes the poison” paradigm in toxicology by affecting estrogen receptors differently at low and high doses. Therefore, testing the estrogenic effects of chemicals at low doses is necessary to fully understand the risks associated with those chemicals. Estrogenic compounds contained in pharmaceutical and personal care products continue to enter our environment via unregulated dumping and have been found in rivers and fish. The Environmental Protection Agency’s proposed program of chemical screening of endocrine disruptors by industry has been criticized by some scientists as favoring the chemical industry.4 These criticisms should be considered before the program is adopted. Vrishali Subramanian is a graduate student specializing in Environmental Policy at Georgia Institute of Technology. She has an undergraduate degree in environmental engineering and a master’s degree in environmental toxicology. 2 Julia Green Brody, et al., “Environmental Pollutants, Diet, Physical Activity, Body Size, and Breast Cancer,”Cancer, 2007; 109(S12), May 14, 2007. 3 Marla Cone, “Common Chemicals Are Linked to Breast Cancer,” Los Angeles Times, May 14, 2007. 4 Sue Goetinck Ambrose, “Scientists Criticize EPA Chemical Screening Program,” the Dallas Morning News, May 27, 2007.